Discover flawlessness with the Yves Saint Laurent Touche Eclat Blur Primer, a long-wear base essential with blurring and illuminating technologies. The first step in your makeup routine, this best-selling YSL primer will ensure your makeup routine starts with a bang. Designed to give your complexion the best possible beginning, the gel formula contains light reflecting technology that allows optimal light diffusion, so that your skin exudes health and radiance before you even apply foundation. Loved for its smoothing effect and its ability to improve the longevity of your foundation, there’s no makeup bag or skin type that won’t love the benefits of this illuminating primer. Often, makeup primers are either one or the other: longwearing or illuminating. 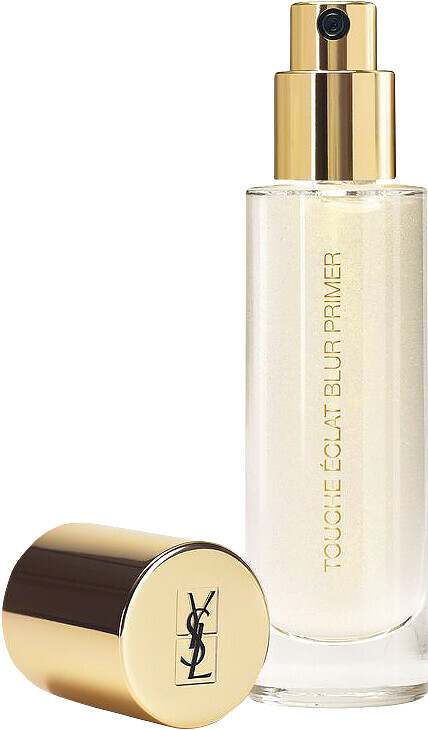 Not the Touche Eclat Blur Primer! This refreshing gel formula takes multi-purpose to the next level and allows all skin types to enjoy glowing skin without compromising on longevity. The Blur Primer can be worn alone, applied to clean skin to create a perfected canvas or worn underneath foundation. To apply, dispense one pump onto the back of the hand then work into skin with a clean makeup brush or fingertips working from the centre of the face outward. Leave to melt into skin for 10 seconds if following with foundation. The great thing about the Blur Primer is that it can be used with all makeup! If radiance is at the top of your checklist though, explore the rest of the Touche Eclat range – it’s a one-stop destination for healthy-looking skin.